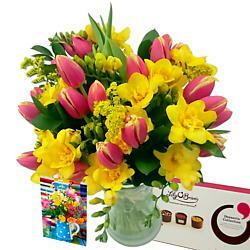 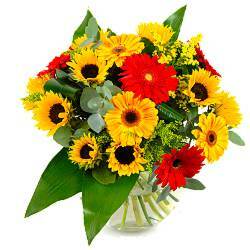 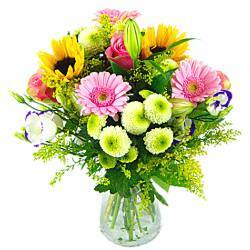 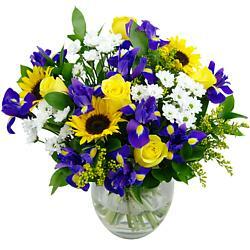 Order stunning bouquets with pretty solidaster - and get free delivery! 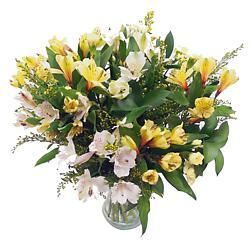 Solidaster is a special hybrid, probably made long ago by breeding solidago with Solidaster is now popular as a cut flower across the world for its pretty sprays of yellow flowers, which peek their dainty heads from a wonderful backdrop of verdant green foliage. 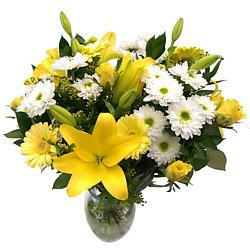 Butterflies love a nice bunch of yellow solidaster, and so will you! 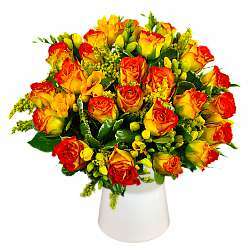 All of our solidaster bouquets here at Clare Florist are available for free next day delivery! 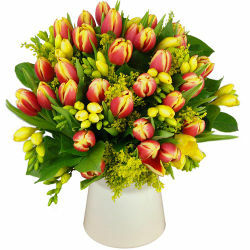 And while we may be fast, we're thorough too: every bouquet that passes through our hands is hand-tied and arranged by our expert florists, who make sure that each and every bouquet reaches its destination looking absolutely wonderful. 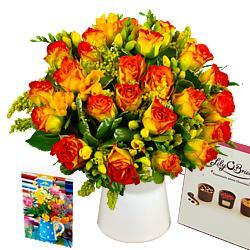 And there's a whole host of great extras too, all available for free delivery when your order flowers online. 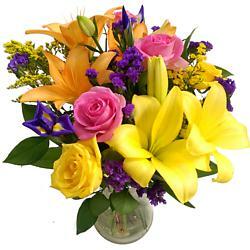 Add some chocolates, a personal card, or even some extra deluxe flowers to your bouquet at a great low price!